HI-VIS is delighted to offer a range of services designed to meet the needs of organisations and individuals who come into contact with deafblind people. We can offer training and support tailored to the needs of customer facing teams across all sectors and to deafblind people, their family members and carers. With training starting at less than £30 per person, why not contact us to discuss your requirements. If you would like to talk with us about providing a direct service to your deafblind customers on your behalf please do get in touch using the link below or complete the form on our contact page. Specialist Deafblind Assessor training for social work professionals. A review of your sensory provision including deafblindness and Care Act compliance. Support for the named director responsible for meeting the statutory requirements of the Act. CPD and workforce development needs around deafblindness and Acquired Communication Disorders with our unique accredited training and workshops. E-learning and blended learning options. Access to our deafblind Identification and Specialist Assessment tools. Supported deafblind self-assessment – working with individuals. Market shaping – work with your local providers to make them deafblind friendly. Carrying out deafblind assessments on your behalf. Provide full rehabilitation assessments with a written report and recommendations. Bringing deafblind expertise and experience to your team. See also our Rehabilitation service offers below. Are you making the most of your people and do your policies and procedures comply with the Care Act and expectations from your regulators? As people live longer more and more of your patients and clients will have a level of deafblindness that affects their mobility, their ability to access important information and to communicate. Without these skills person-centred care becomes more difficult. Why not talk to us about our bespoke advice and support, which starts at less than £30 per person for our unique accredited deafblind training. Our bespoke services can include advising you on colour design and lighting to make the most of your patients and clients residual sight and hearing. It can include vital and practical guidance on room layout and kitchen design to help ensure you meet the everyday needs of every one in your care. Whether your business is running an airport, a retail outlet, a restaurant or bar one thing you can be certain of is that many of your customers will live longer and experience sight and hearing loss issues that may make them reluctant to want to shop or travel. As the over seventies will soon account for 20% of the UK population, yet one in three will have some form of socially significant sight and hearing loss, can you afford to lose this valuable customer base? Why not contact us to discuss how we can help you to future-proof your business and attract older people who will feel more confident to shop with you and use your services. Our practical skills and awareness training, tailored to your business needs, will give your staff the confidence and ability to support your customers further – and it all starts at less than £30 per person for one of our accredited courses delivered on your site or near to you. Our vision is of a deafblind friendly country where supported family members and carers will enable loved ones to live safely at home for longer and to enjoy the activities they used to, even as their sight and hearing deteriorates. This is a real alternative to potentially unaffordable care costs. Why not contact us in complete confidence to discuss your family situation with one of our professional and caring team. We can talk to you about aids and equipment, skills and adaptations, information and advice that could make a real difference to your life. To give you bit more of an idea of the range of benefits that talking with us could bring, take a look at our rehabilitation service information below. 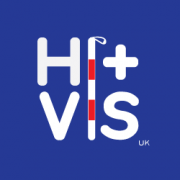 HI-VIS can provide rehabilitation services to people with a visual impairment, a hearing impairment and people with dual sensory loss. 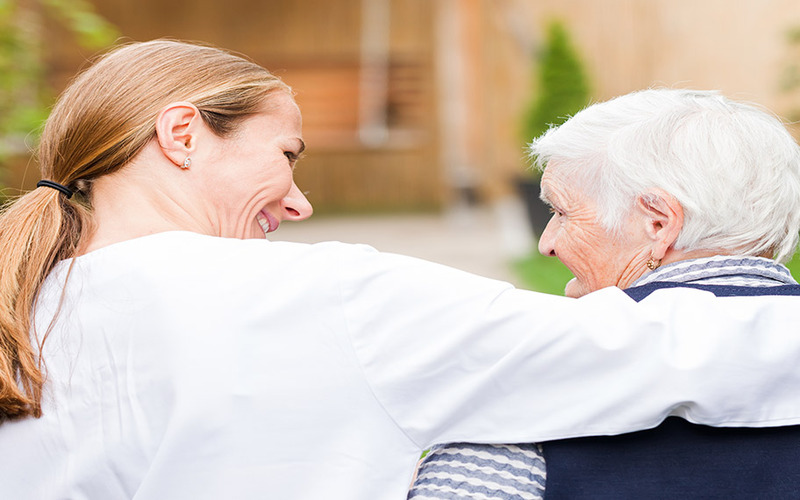 Our assessments are carried out where the person lives, at home or in their care setting. For example our domiciliary low-vision assessments have many benefits over a clinical setting assessment including seeing the person in their natural daily environment, and, without the stress and effort of travelling to a hospital or optician. 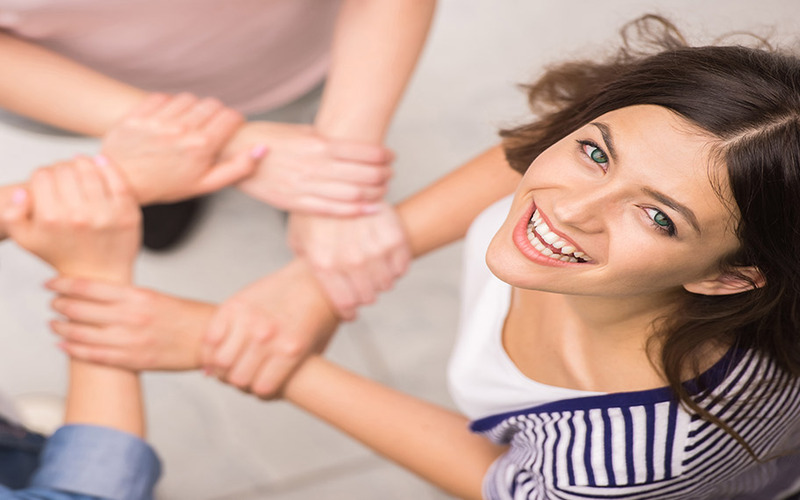 These services can be provided to organisations supporting people, such as local authorities, health and social care providers, employment and leisure services, private sector service industries such as transport and retail. Services can be on a contract basis for a service or as one-off individual assessment and rehabilitation input for patients, customers and clients. They can also be purchased directly and privately by the individual or their family. Contact us to discuss how our services can help you. Full rehabilitation assessments – This includes a written assessment and detailed recommendations. 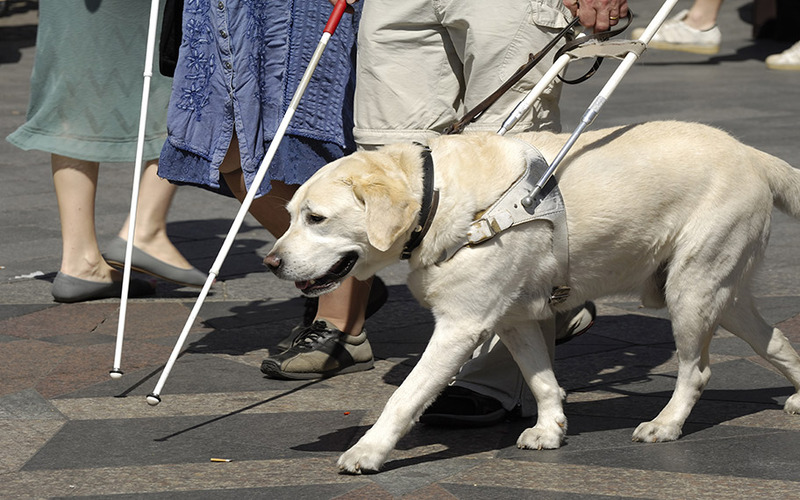 Orientation and mobility training – This can range from familiarisation of local routes and environments, sighted guiding training, cane training and other relevant mobility skills. Low vision training – Includes a full low-vision assessment to find the right strength and type of low vision aid for that person, such as magnifiers. Training on how to use low vision aids correctly and other assistive devices such as CCTV and electronic devices. Methods of making the best use of the person’s residual vision and hearing. Functional assessments – Often this type of assessment is especially suitable for someone with learning disabilities who, for example, may struggle with a typical sight assessment. Our functional assessments include a full written report which helps the family, carer or support worker to better understand the condition, its impact and how to best support them. Communication skills – advice and training. This can include for example, using Braille, moon; making best use of print; tactile methods such as ‘block’ and ‘deaf-blind manual’ plus a range of other ways to access information. Technology – including assistive technology. CCTV equipment and electronic magnifiers, use of hearing support equipment such as TV listeners and other listening devices that makes conversation easier for those who have a hearing loss. Telephones (big buttoned, amplified, etc), smart phones and tablets. Everyday living skills – kitchen skills advice and training, household management, best use of colour contrast and lighting (including full lighting assessments, recommendations and plans – for the individual or for local authority services and care providers). Personal care and all daily living activities and tasks within the home. Leisure activities – Advice, recommendations and training to assist people to continue doing things that are important to them, for example their hobbies, interests and recreational activities. This can include being shown how to continue taking part in crafts, sports, gardening, using leisure centres and socialising. Employment and education support – Recommendations and advice on finding and applying for work and education, plus advice on making the work environment more accessible. Assessing the person and their workplace to make it as friendly and accessible as possible. These services can be purchased by the employer or offered to an individual directly.